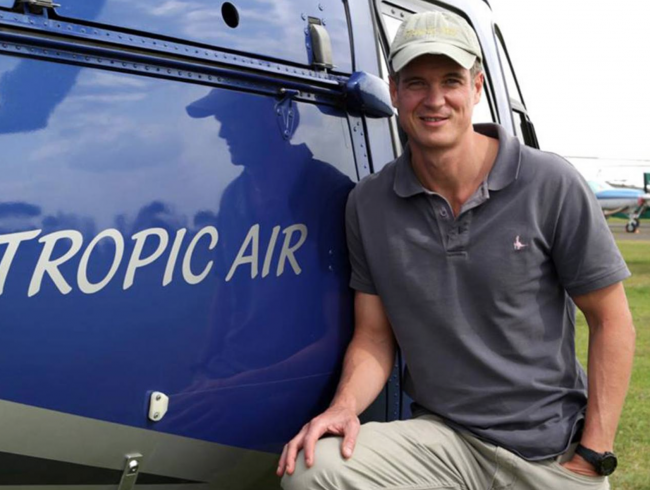 A 37-year-old British pilot working for an anti-poaching unit in Tanzania has been fatally shot by poachers while flying over a poaching scene in his helicopter, according to news reports. The Friedkin Conservation Fund said Roger Gower, from Birmingham, was tracking poachers on Friday in the Maswa Game Reserve. He was apparently shot through the floor of the helicopter with an AK47. According to one report, he had been shot as he flew near the carcass of one of three elephants killed by poachers, and that after being wounded he had manoeuvred the aircraft to land to save a colleague flying with him. Gower was a former accountant who had given up his job to work on conservation in Africa, news reports said. The Tanzanian authorities said on Sunday that five people had been arrested. They included the person who supplied the ammunition and a person who provided accommodation for the poachers in the reserve near Serengeti National Park in the country’s north, a government spokesman was quoted as saying.